Some fun ideas for some delicious Halloween treats. Carefully slice apples into 1/4 inch thick wedges. Spread on butter spread of choice. Line with Mini marshmallows as "teeth." 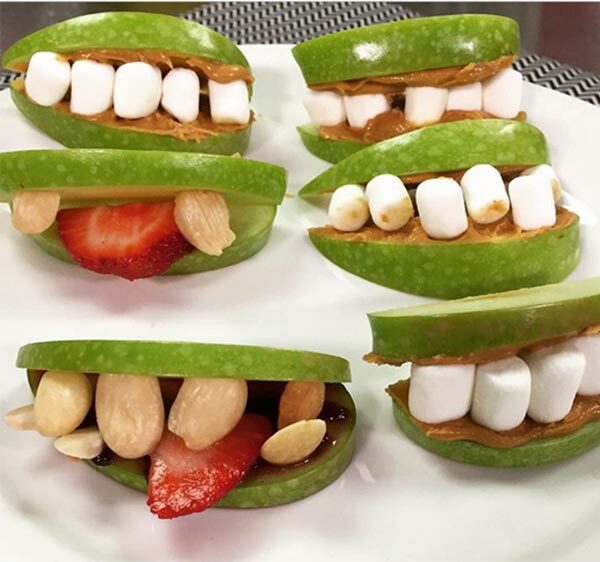 Place another apple slice covered in peanut butter to complete the mouth. * Variation: After spreading peanut butter on an apple slice, place a strawberry slice in the center to mimic a tongue. Line with Pistachios or almonds as teeth. Sandwich with another apple slice to complete the mouth. Option to pour some dressing in the bottom of each cauldron before filling. Place a few veggie sticks in each cauldron. 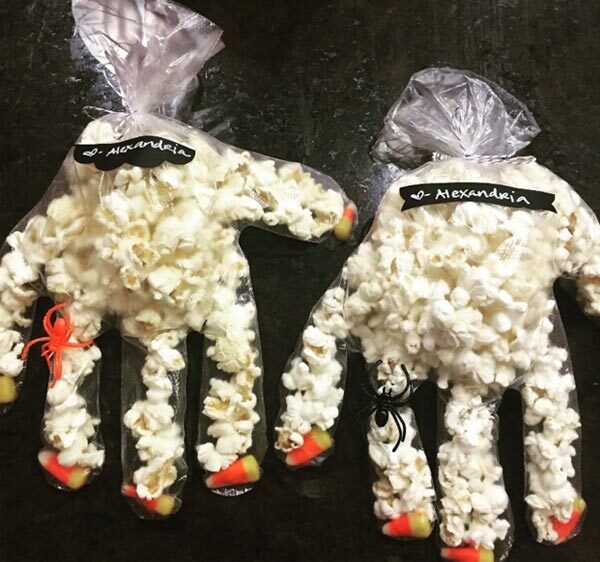 Place a single piece of candy corn at the tip of each finger on the glove. Fill the glove with popcorn. Tie at the wrist and put a ring on the finger.